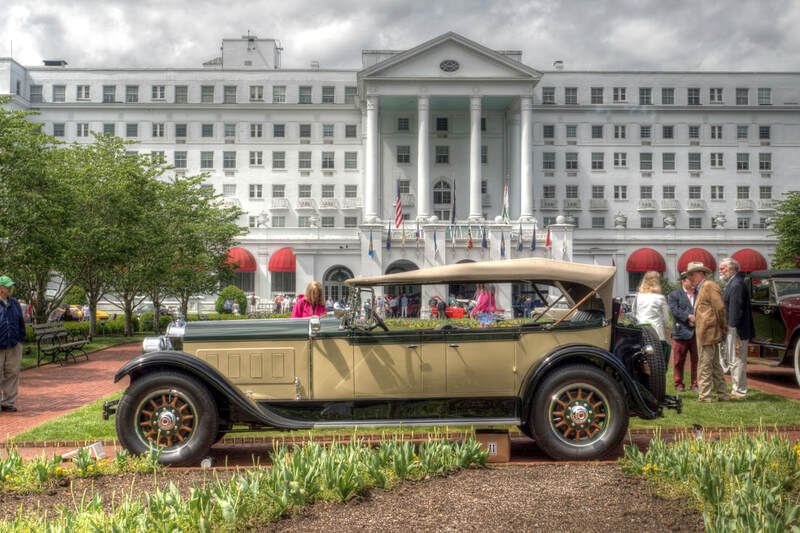 The iconic Front Entrance of The Greenbrier, which has been welcoming guests since 1913 provides the perfect backdrop for The Greenbrier Concours d'Elegance, which features more than 100 of the top collector cars from around the world. While visitors pick out their favorites and relive old memories, judges will put pen to paper in an effort to determine the winner's of each category as well as the Best of Show. Cars will be on display in and around the front circle and inside various rooms of The Greenbrier, including the Exhibit Hall, part of the once top secret Cold War fallout shelter for the United States Congress.